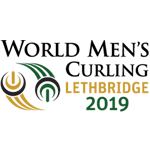 If you would like to receive electronic communications about Curling Canada event volunteer opportunities, please complete the form below and subscribe. You may withdraw your consent at any time. After submitting this form, you will receive an email with a link that you must click on to confirm and finalize your sign-up to this Volunteer Update Email Newsletter list. Click on a logo below for more information on volunteering at each our events.